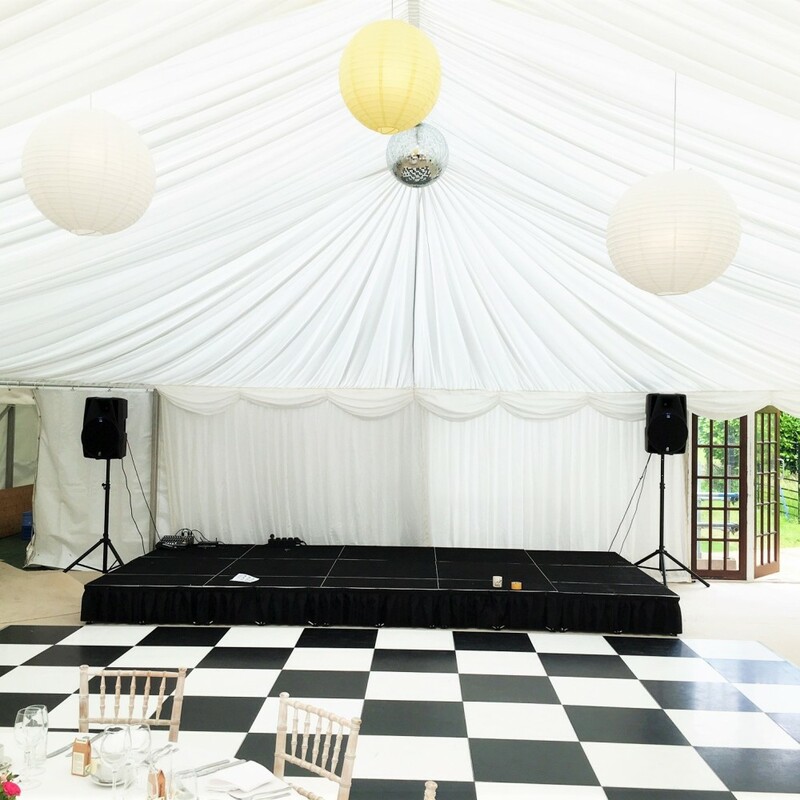 Our PA & Sound System is an ideal hire package for weddings, village halls, speeches and parties. 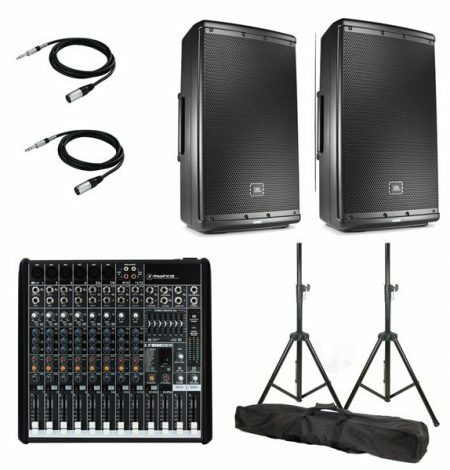 Included in the sound system hire price are 2 x Yamaha DBR 12″ loudspeakers, a soundcraft mixing console and cabling. 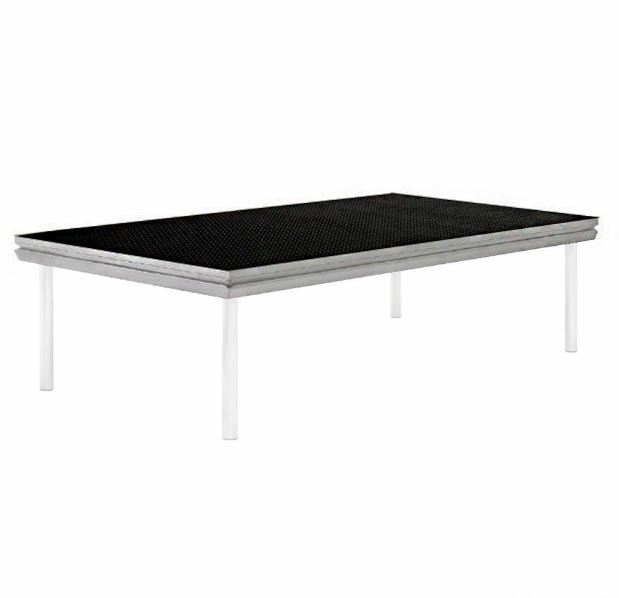 With plug and play technology this system is really easy to use with any laptop or phone to keep the party going even after your band has gone home. 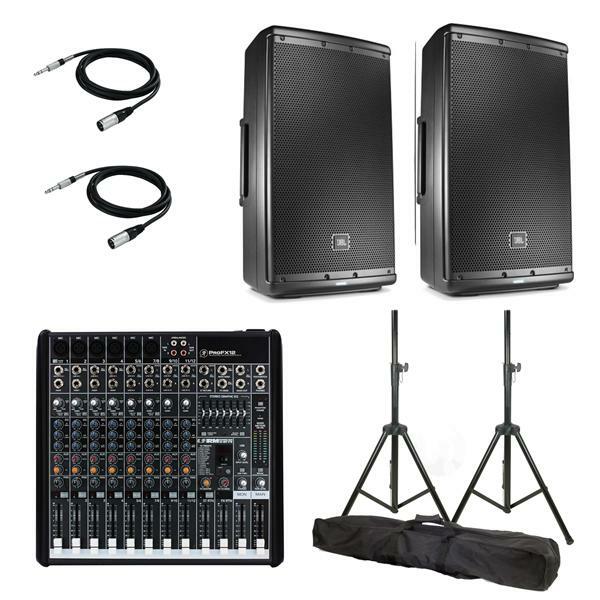 Emphasis has also been placed on operational simplicity and the clear and intuitive layout means anyone can use this mixing console and speaker package. 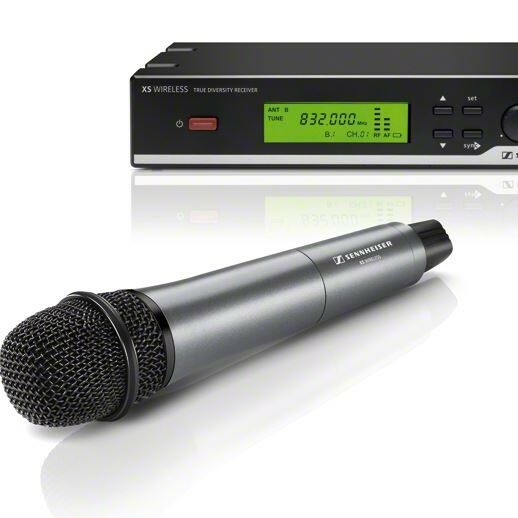 If you are thinking of using this system for speeches at your wedding, don’t forget to include or ask about our wireless microphone. 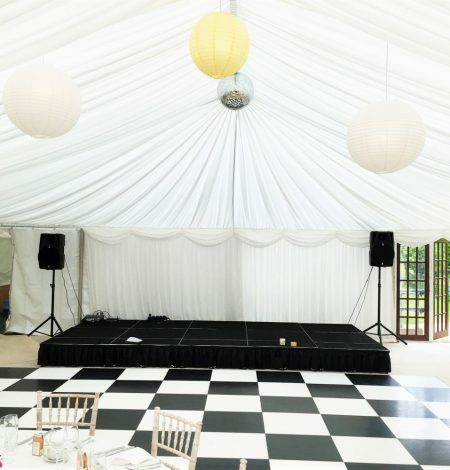 Our PA System is ideal for weddings. For the wedding ceremony this might be to increase the volume of any speakers in a large church or to play recorded music. 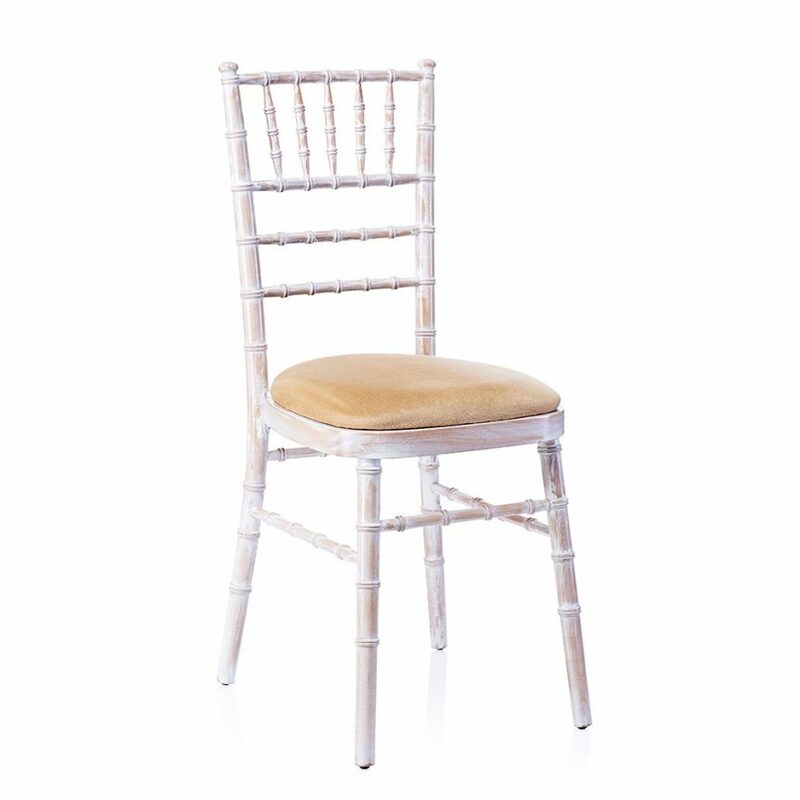 When combined with our wireless microphone, the father of the bride, groom and best man can ensure they are heard at the reception. If you have any questions about of PA systems or the audio equipment we have available, please don’t hesitate to contact us.